A major new book on the medieval history, society and culture of the Isle of Man, the third in a series of five as part of the New History of the Isle of Man, has just been published by Liverpool University Press. The editors of the book are Professor Seán Duffy of the Department of History, Trinity College Dublin, and Professor Harold Mytum, Director of the Centre for Manx Studies, University of Liverpool. By bringing together the fruits of the labours of several scholars of international repute, some of whom are resident on the Island, the comprehensive analysis provided in this volume marks a significant advance in the current level of understanding Manx history in the Middle Ages, forming a body of knowledge that will be of benefit both to Manx people and to the wider readership beyond its shores. The reassessment of the medieval legacy of Man highlights the island’s position as a cockpit of English, Scottish, Irish and Norwegian power politics, and explores the multi-cultural traditions of Man. 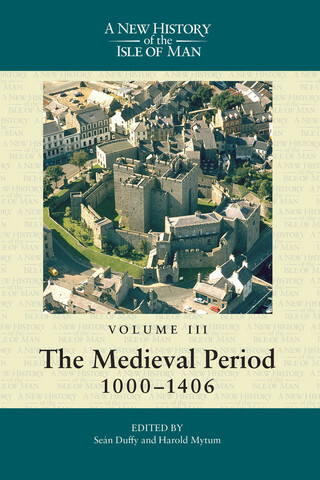 Using a wide range of sources, contributors explore the role the Island was to play throughout the medieval period as a focal point in a complex nexus of inter-relationships (linguistic, economic, ecclesiastical, political, military) which linked the various peoples of the British Isles and Scandinavia. Some of the authors will be available to sign copies of the book in the Manx Museum from 1pm to 2pm on Saturday 5th December. The book is available in Manx National Heritage retail outlets at the Manx Museum and House of Manannan and on-line at www.manxnationalheritage.im priced £25. Professor Andrew McDonald, visiting from Canada, will be holding a lecture at the Manx Museum on Friday 4th December on ‘Heroes and Villains in the Kingdom of Mann and the Isles between 1000 and 1300’, which will not only provide further context to the book itself, but will also give background to the Manx Museum’s new Heroes exhibition, which opens this Sunday 6th December at the Manx Museum. To buy tickets to the lecture, which are priced at £10, visit www.manxnationalheritage.im.